Caribbean Lifestyle Media: Barrington Levy will be in New England for the first time in 10 years. The event is being branded as "Black Roses ", which is one of his popular tunes. The DNZ Productions team who is putting together this event. 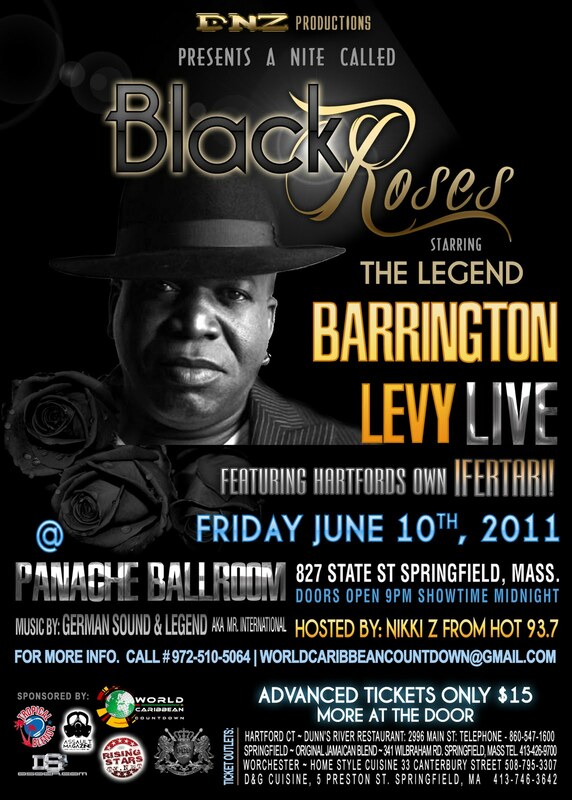 Opening for Barrington Levy will be Hartford's own Ifertari. Music will be provided by German Sound from Springfield Mass & Legend AKA Mr. International . The event will be hosted by hosted by Nikki Z From Hot 93.7 & World Caribbean Countdown. Advanced Tickets Are Only $15 For This Major Event So Make Sure You Save & Buy In Advance! For More Information Email BookDivaZ@Gmail.com Or Call 972-510-5064.